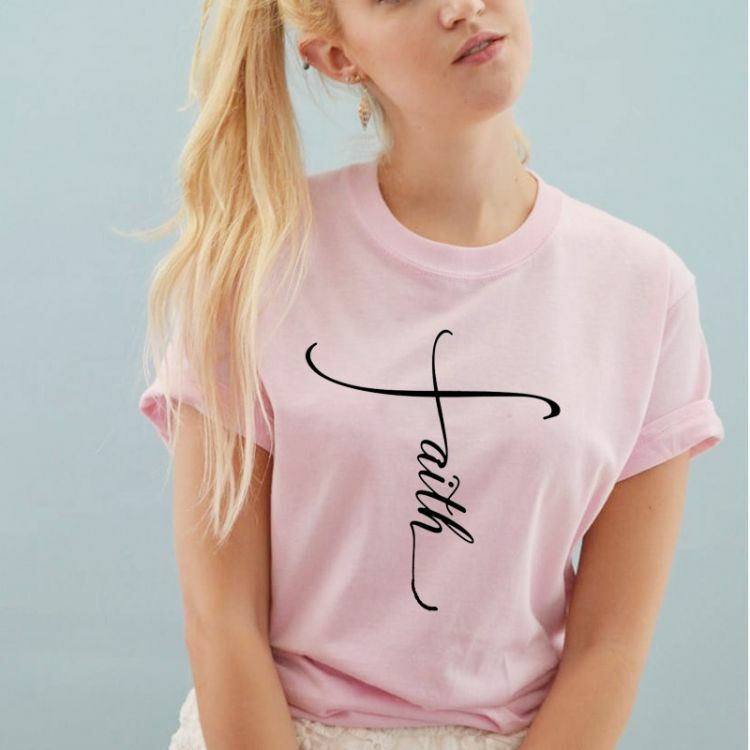 Some People Wear Their Hearts On Their Sleeves, How About Wearing Your Faith On Your Shirt? You CAN With Our Women's Faith T-Shirt! This Is One Chic T-Shirt That Will Fit Just About Any Woman's Wardrobe! You Can Wear It Church or Running Around Town... Dress It Up or Dress It Down! It's Poly-Cotton Blend Is Easy To Care For...And Comes In 5 Colors! Get Your Women's Faith T-Shirt As A Gift For Yourself...Or Someone You Love...Or Like A Lot!